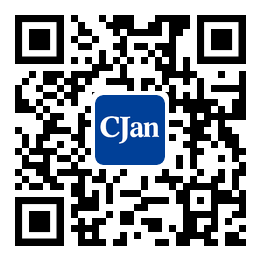 ﻿ Introduction of the Passivation Process of Sanitary Tube Fittings - CJan Fluid Technology Co., Ltd.
All sanitary fittings, such as no plating or other special requirements in coating, it's usually pretreated (including pickling to black, polishing, etc.). After passivation, the finished product can be used or assembled into parts. Passivation can improve the thermodynamic stability of stainless steel in environmental media and prevent local corrosion of stainless steel, so that the surface of stainless steel has sufficient cleanliness and can eliminate the surface heat processing oxides of stainless steel. The passivation technology of sanitary tube fittings can be divided into wet and dry. The passivation of the sanitary pipe fittings depends on the passivation process and the steel. Specifically: the element of stainless steel, the metallographic structure of stainless steel, the processing state of stainless steel and so on. In the elements, chromium and nickel belong to the element with strong passivation, and the passivation of iron is secondary. Therefore, the higher the content of chromium and nickel is, the stronger the passivation of stainless steel is. The stainless steel of Austenitic, ferritin type has more homogeneous tissue, which can be passivated. The stainless steel of markov type is strengthened by heat treatment, and its metallographic tissue is multi-phase, thus the passivation is not strong. Stainless steel has a good passivation on the surface of the polished surface after machining. And the surface is rough after casting and sand blasting, it is not conducive to passivation.